Choosing a diamond wedding ring to compliment your engagement diamond is very easy if you have chosen a jeweller that has their own designers. They can design a diamond wedding ring that will be perfect. 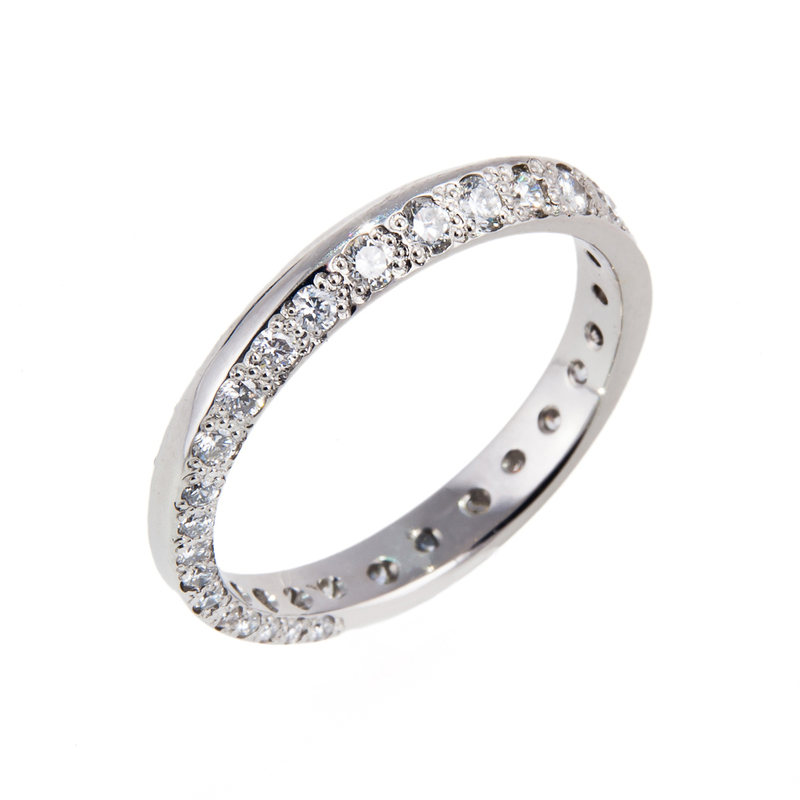 You may also find that the jewellery store that you choose already has a large selection of diamond wedding rings. Hancocks Jewellers have been in the business of designing and making the most beautiful diamond wedding rings since 1860. If you have chosen single stone platinum setting with a brilliant cut diamond in a four claw setting you might chose a platinum brilliant cut diamond wedding ring with channel settings. 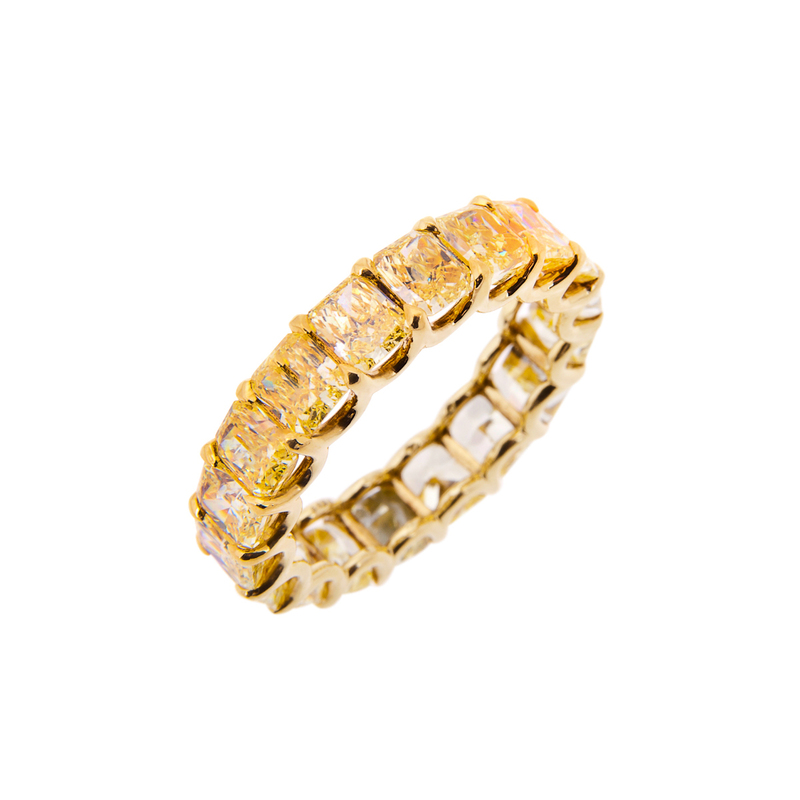 You will have the option of having the channel set diamonds to fully encircle the band or you can have them partially circle the wedding band. 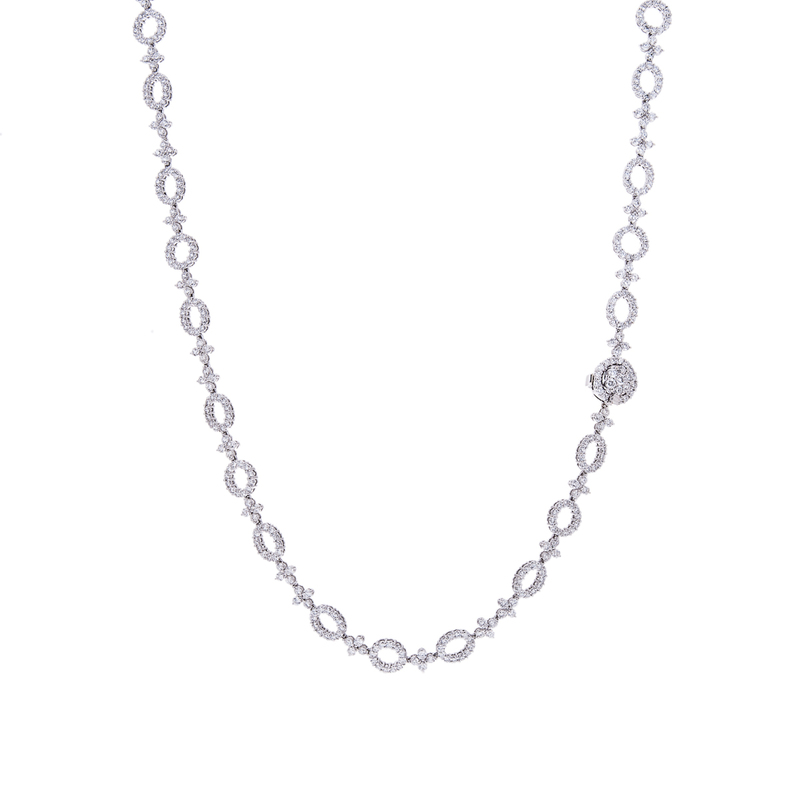 The craftsman at Hancocks Jewellers will make sure that the colour, cut and clarity of the diamonds will be perfectly matched. You may prefer to have something with fewer diamonds so that it doesn’t detract from your engagement ring. If you do then you could be interested in a wider wedding band in a platinum setting with brilliant cut diamonds that are mounted in channel settings. They would not necessarily be encircled around the ring. You could have the diamond wedding ring have them only on the top. If you really love the look of a diamond wedding ring you could find several with baguette cut diamonds with a channel setting with a platinum band. You could find a matching wedding band for the groom as well. Hancocks Jewellers will be there for their clientele long after the ceremony. If you take advantage of their services for keeping your engagement and wedding rings looking brand new you will have the perfect diamonds wedding rings for life. 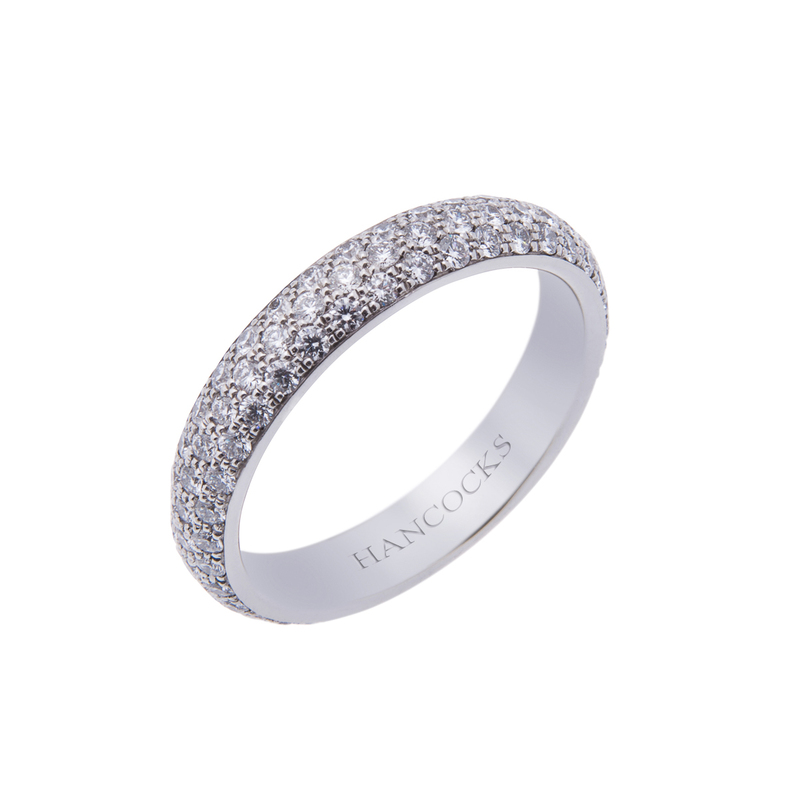 You can also see the fine selection of diamond wedding rings online at www.hancocksjewellers.co.uk.